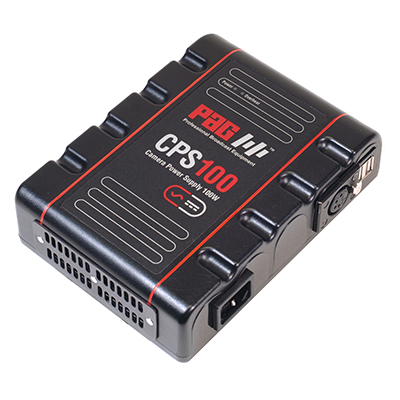 The multi-function PAG CPS100 is a 100W AC adaptor. 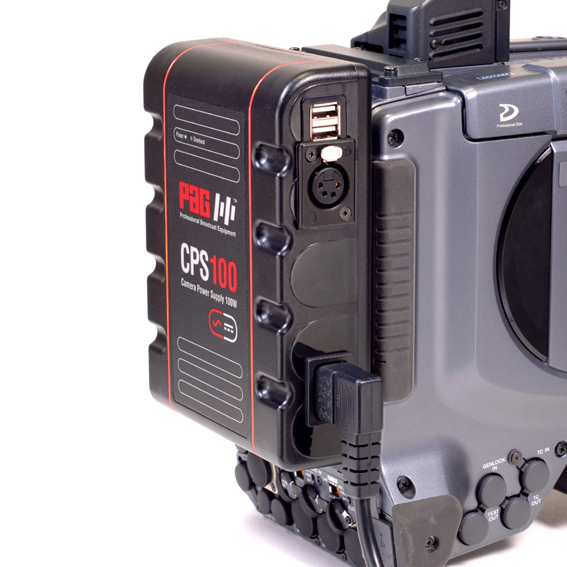 It can be mounted to the rear of the camera, via the Gold Mount battery connector. Alternatively it can be used off-camera. 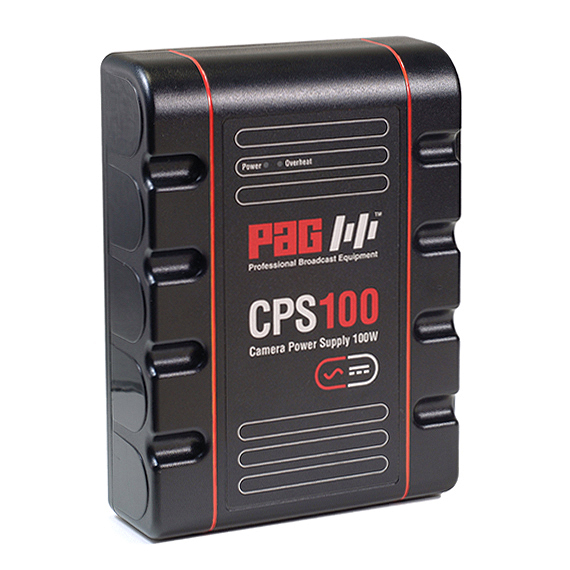 The PAG CPS100 can be used to power the most demanding digital cinema cameras, or HD broadcast camera set-ups that include picture monitoring, audio or lighting accessories. 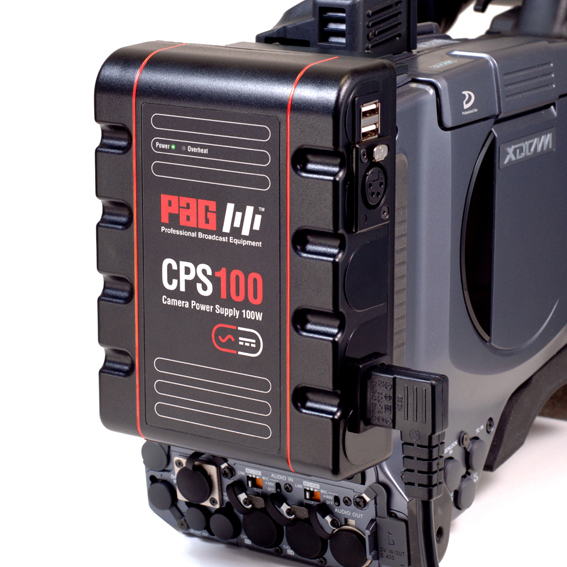 A parallel XLR4 output is included for powering camera accessories. 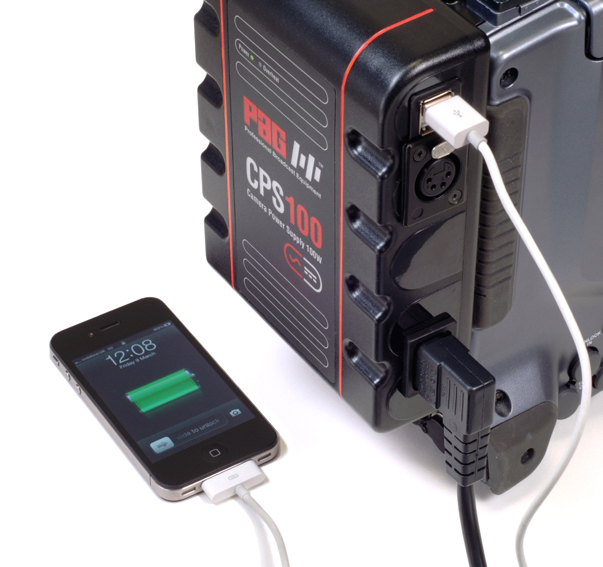 Twin USB connectors are incorporated that output 5V, ideal for charging a smart phone battery. 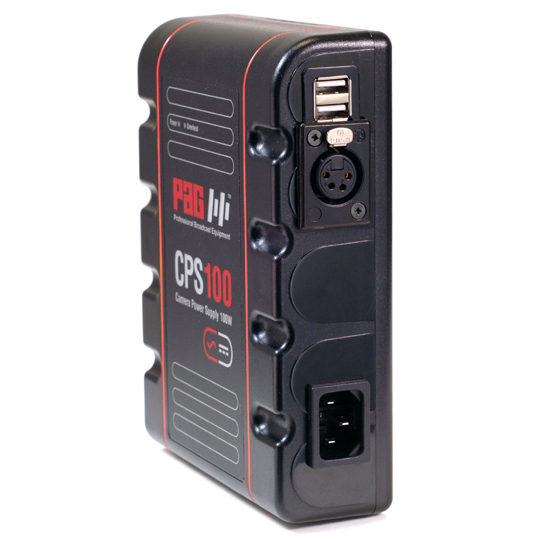 The CPS100 has a constant output of 100W and a peak output of 150W. It can be powered from any AC supply worldwide. Thermal protection is included and the unit will automatically restart after cooling.